Creamy pureed soup is topped with crisp roasted Brussels sprout leaves in this elegant and simple soup. Replace the sprouts with kale for a different twist. Toss cauliflower with 1 tbsp (15 mL) of the olive oil and arrange on a baking sheet. Roast in oven, stirring occasionally, until tender and golden, about 15 minutes. Meanwhile, in a large saucepan, heat oil over medium heat and cook leeks and celery just until tender, about 4 minutes. Sprinkle with salt and pepper. Add thyme, bay leaves and broth and bring to boil. Reduce heat to maintain a simmer, and cook for 10 minutes. When cauliflower is done, scrape into the simmering soup and cook for 15 min. Stir in cream. Let stand for 15 minutes, remove bay leaves; transfer to a blender to process until smooth. Meanwhile, toss sprouts with oil and garlic. Roast on baking sheet, stirring often until golden and crisp, about 10 minutes. Remove from oven and sprinkle with salt and lemon zest. 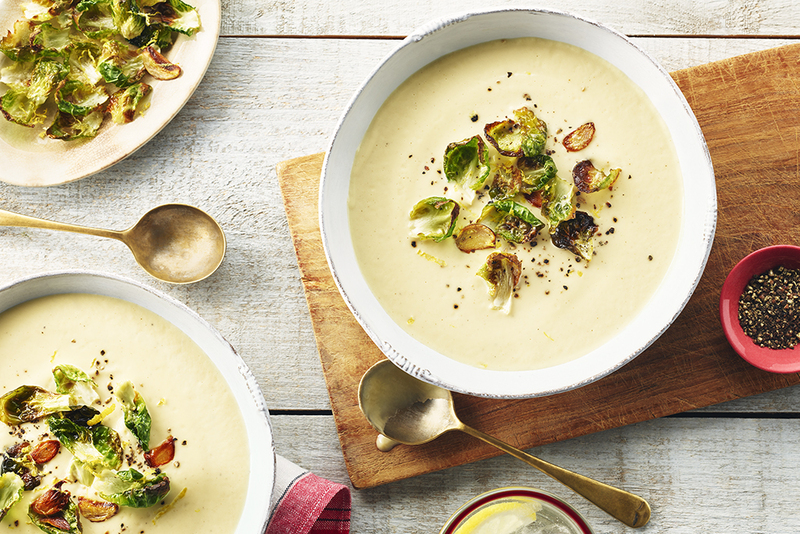 Divide soup over 4 shallow soup bowls and top with crispy sprouts. 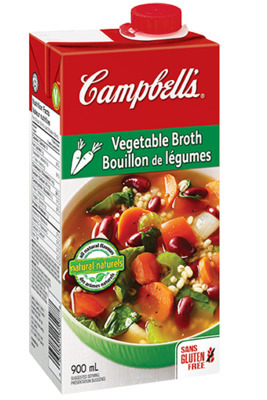 Soup can be made up to 3 days ahead and stored in an air-tight container in the refrigerator.